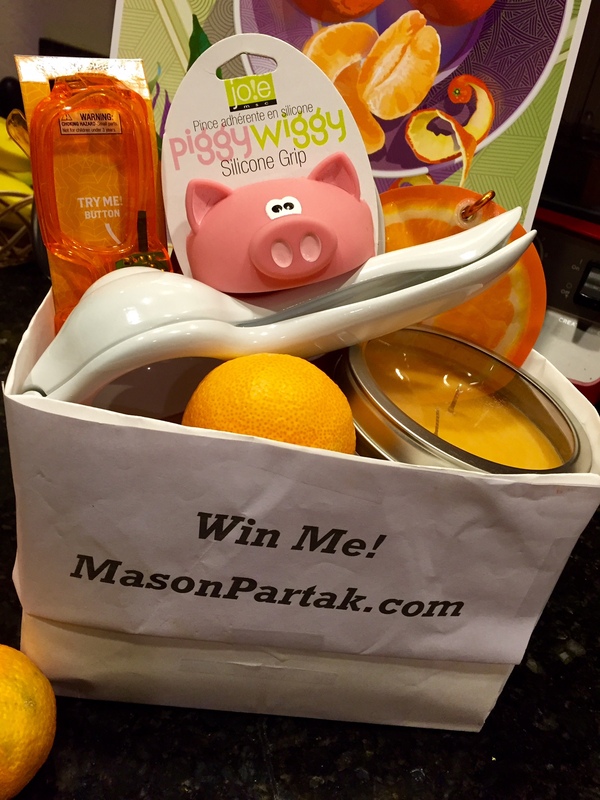 **To win this Mason Made give away, comment on this post between today and November 22, 2015. Mason will draw the winner using a random number generator and announce the winner on 11/23/2015. Share on Facebook and Twitter and post the link to those shares in a new comment for extra entries, in addition to liking Mason Made on Facebook! The winner will have 30 days to reply with mailing information otherwise, a new winner will be selected. Have fun and share! *By participating in this contest, participants agree to have their name announced in a video done by Mason and posted publicly if they should win. Of course I’d love to win!! PiggyWiggy is adorable! Thanks for the giveaway, Mason! l love overachievers (and giveaways)! Thanks, MM! Good Luck, and great job on ABC10! Looks like a wonderful prize to win! Would be exciting to open! Nice giveaway, thanks for the chance to win! What a great looking prize! I would love to win this! Mason, you can come cook at my home any day….you are an awesome chef!! thank you for this wonderful giveaway..
A cute prize! Thanks for the chance to enter! Happy Thanksgiving! this looks like a great gift to win…would luv it…. The piggie grip is so cute! Very talented, Thanks for the chance. I’d love to win too! Thanks! We loved meeting Mason! We are looking fourward to watching him on junior chopped. Was great seeing you at the Mountain Mandarin Festival and being able to purchase your new sauces. Thank you for the opportunity to win your giveaway! Mason, it was great to meet you today at the Auburn Mandarin Fair. I cant wait to cover my BBQ tri-tip roast with your Bacon chipotle sauce tomorrow night. Thanks for the good stuff.